SAIS Torridon Blog » Cloudy and Hazy. Although it was a mild, dry and relatively calm day, the cloud hung around the tops and combined with smoke haze (from recent uncontrolled muir burning) didn’t make for good views. The snowpack is very depleted, stable and thawing at all levels. Most snow patches exist at higher elevations and where old snow is exposed, it remains firm. Very little snow below 650m. The summit of Sgurr nan Clach Geala (1093m.) 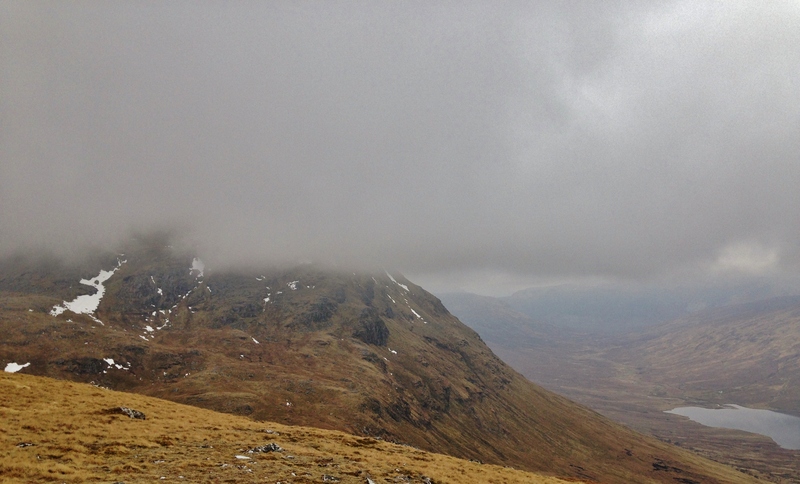 in the Fannaich mountains peeking through the mist. 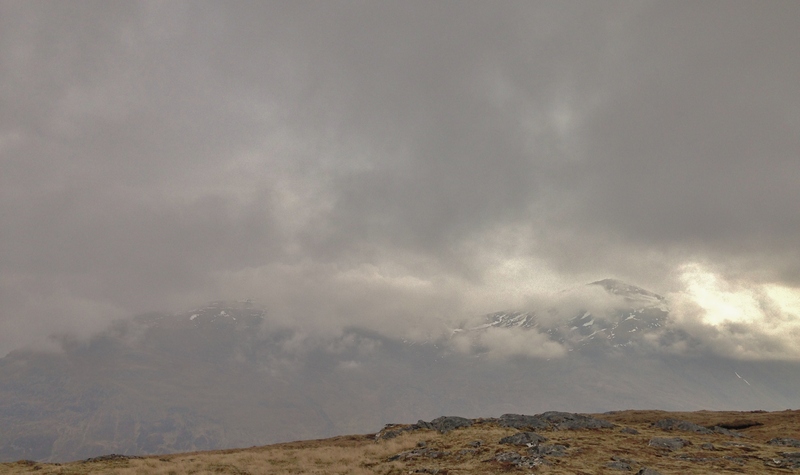 Sgurr Breac. 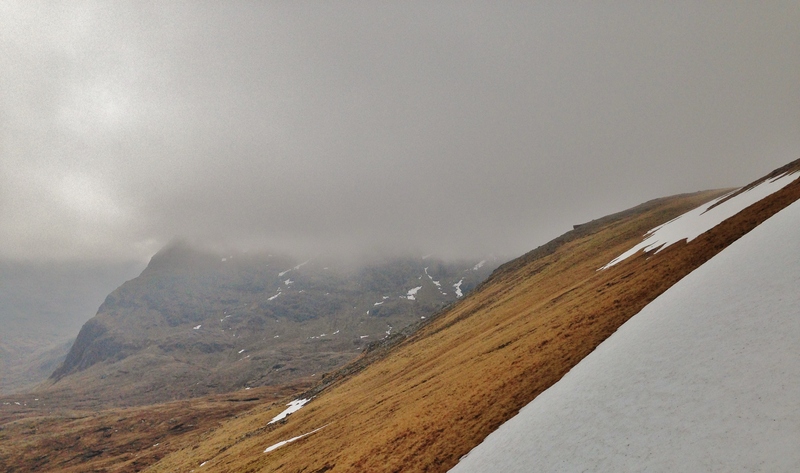 Most snow patches remain along ridge flanks, summit slopes, in gullies, runnels and round coire rims. 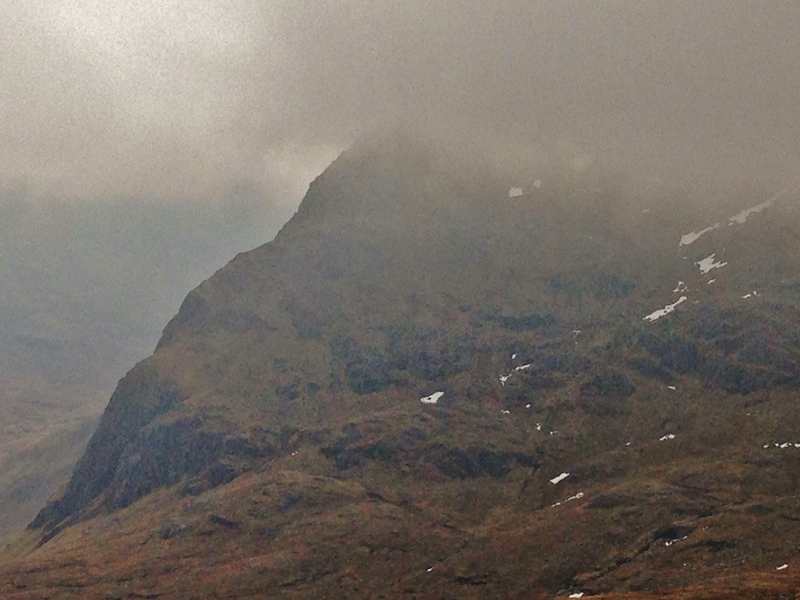 The north buttress of Sgurr Breac. Sron na Goibhre, the north ridge of A’Chailleach dropping down to Loch a’ Bhraoin.